What could be better than combining business with pleasure? We all have our online tutoring businesses for a reason. Some, so we can travel around the world and have more flexibility, and others to live out our dreams. During this retreat, we will get to live out our dreams in style. Not only that, but you will get to perfect your funnel so that you can have more students to tutor. It's great to connect online, but can you imagine how much you would get done with me guiding you step by step in person. You will get to make referral connections that will last a lifetime. We will start with the customer experience from start to finish. 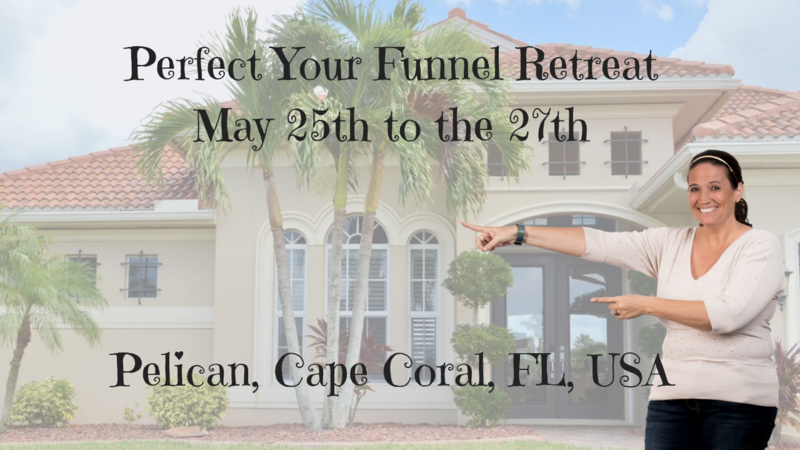 We will walk through your funnel as a customer and learn how to engage with them during each step in a way that makes them hungry to move forward with you. Then we dive into the sales conversation AND the sales consultation. You will practice what to say, how to say it and get feedback from others so that you are comfortable instead of anxious. Next, we will explore every single method you could use to get clients. You will pick and choose what you would like to try for the next year. After that, we will come up with an exact system to make your funnel work. At this point you will probably be overwhelmed, so we will go over some strategies for getting organized with your plan. You will map out exactly what you will put in place and when so that when you leave you feel like you have a plan that will not only get you more students but keep students referring you over and over again. And this is not all. Throughout the weekend people are going to want to work on copywriting, setting up autoresponders, and so much more. We will get to work on all of this to make this the best weekend experience ever. Who is this trip not for? If you feel uncomfortable getting to know people or refuse to share a bed, this probably is not going to be a good fit for you. The rooms do have king beds with tons of space and you can request who you would like to room with or share a bed with. Are you a Florida resident and want to join us for the day? Come join us for Sunday from 7 am to 8 pm.